SANTA ANA — A business operator was convicted and sentenced to six years in state prison on Friday for stealing $2.7 million worth of wine from his clients’ storage lockers and underreporting over $3.5 million in payroll to his workers’ compensation insurance carrier. He faces sentencing enhancement allegations for misrepresenting facts to SCIF, committing an aggravated white-collar crime over $500,000, property damage over $65,000, and crime-bail-crime. Osumi also pleaded guilty to three felony counts of second-degree commercial burglary; one felony count each of grand theft, embezzlement by employee, and receiving stolen property; and one misdemeanor count for possession of burglary tools with sentencing enhancements for aggravated white collar crime over $500,000 property damage over $1.3 million; and crime-bail-crime. 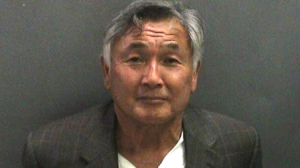 He is scheduled for a restitution hearing on Nov. 1 at 9 a.m. in Department C-30, Central Justice Center, Santa Ana. California law requires that all employers maintain workers’ compensation insurance for their employees. Payroll records showing the number of employees and their income must be submitted to both the insurance company and the Employment Development Department (EDD), which oversees the audit and collection of payroll taxes and employment records for workers in California. Workers’ compensation insurance rates are determined by a formula that takes into consideration the factors above and the company’s loss history on claims. Premium insurance fraud is committed when an employer intentionally misrepresents to the state or his/her insurance company the number of employees, the nature of work performed by certain employees, the amount of payroll, and the loss history. These illegal misrepresentations allow deceitful employers to purchase workers’ compensation insurance at a significantly lower rate, or to avoid purchasing the insurance at all. This practice also places their competitors at a disadvantage because it forces them to compete against a company with lower operating costs. This deceptive under- or non-reporting drives up the cost of insurance premiums for legitimate businesses, which pay higher rates for their employees’ workers’ compensation insurance. These legitimate businesses are less competitive against crooked companies that are able to under-bid their competitors due to lower business costs resulting from insurance fraud. This also endangers injured employees who may be denied the workers’ compensation insurance benefits intended to meet their physical, psychological, and financial needs for a work-related injury. Osumi owned and operated several construction businesses at the time the following incidents occurred. Between 2001 and 2011, Osumi created companies under the ownership names of family and close friends to avoid tax liability while personally operating his businesses. During that time, he created the following businesses in California and Nevada: dba PMC Inc., JECM, JECM Inc., Kate Osumi Enterprises Inc., KIO LLC, Legend Cellars Inc., Legend Company Group LLC, P.M.C. Group IV Inc., Property Maintenance & Construction LP, and TMS Inc. Between December 2001 and March 2006, Osumi committed workers’ compensation insurance premium fraud after he reported his payroll to SCIF at just over $1 million. He actually maintained a payroll of over $4.5 million, a difference of over $3.5 million from his reporting to SCIF. This resulted in a loss of over $814,000 in premiums owed to SCIF. Between May 2004 and October 2011, Osumi obtained an American Express card under the name of one of his former business associates and made unauthorized purchases. In April 2011, Osumi committed perjury under the California Contractors State License Board (CSLB) contract code after he declared and stated as true a material matter he knew was false, under penalty of perjury, that he did not operate a business that required workers’ compensation insurance. Between 2009 and 2011, Osumi withheld state taxes and disability insurance benefits payments from his employees and failed to forward these withholdings to the state or file payroll reports with EDD. Osumi filed false reports that did not contain the identity of all of his employees. Consequently, when two of his employees filed a claim with EDD to collect unemployment benefits, EDD had no record of their employment and these employees had to provide proof of their employment. Osumi distributed paychecks with insufficient funds to employees, despite operating a business that earned income. The Orange County District Attorney’s Bureau of Investigation, EDD, and CSLB investigated this case. Between Jan. 1, 2008, and June 21, 2012, Osumi operated the commercial building Legend Cellars Inc. in Irvine. The business allowed people to store their wine in storage lockers at a controlled temperature. On three occasions, Osumi broke into the private storage lockers of three different owners and stole their wine that had a total estimated value of $2.7 million. Osumi replaced the bottles of wine he stole with much cheaper brands. In 2008, Osumi hired a friend, who did not know the wine was stolen, to auction off some of the stolen wine in exchange for a portion of the proceeds. Osumi had approximately $280,000 deposited into his business account and used the money to pay for personal expenses and legal fees. Between July 20, 2011, and June 7, 2012, Osumi directly auctioned some of the stolen wine for over $300,000 and had the money deposited into his business account. A family member of one of the clients reported the theft to the Irvine Police Department, who investigated this case. Deputy District Attorney Shaddi Kamiabipour of the Insurance Fraud Unit is prosecuting these cases.